The Rockefeller Center Christmas Tree is a world-wide symbol of the holidays in New York City. The 2017 Rockefeller Center Christmas Tree was lit yesterday for the first time on Wednesday, November 29, with live performances from 7–9pm, at Rockefeller Plaza, between West 48th and West 51st Streets and Fifth and Sixth Avenues. Thousands crowded the sidewalks for the event and millions watched it live across the globe. The Rockefeller Center Christmas Tree Lighting ceremony has become a national tradition hearkening back to the days of the Great Depression. On Christmas Eve of 1931, a group of construction workers put together a small, elegant Christmas tree on the site of what would become Rockefeller Center. In Rockefeller Center’s launching year, 1933, the first formal Rockefeller Center Christmas Tree Lighting took place. Since then it has become a national event including ice- skating spectacles, live entertainment and television specials. The Tree will remain lit and can be viewed until 9pm on January 7, 2018. Check out the beauty, visit Rockefeller Center or watch the lighting from the comfort of your home. Growing up half Jewish and half Catholic brought upon festive celebrations especially in December. Having an Irish Catholic dad and a Russian Jewish mom, which lovingly refer to as being a Cashew who celebrates Christmas and Chanukah as Chrismukkah! For people who grew up in homes with strong faiths, both my parents were pretty non-religious. 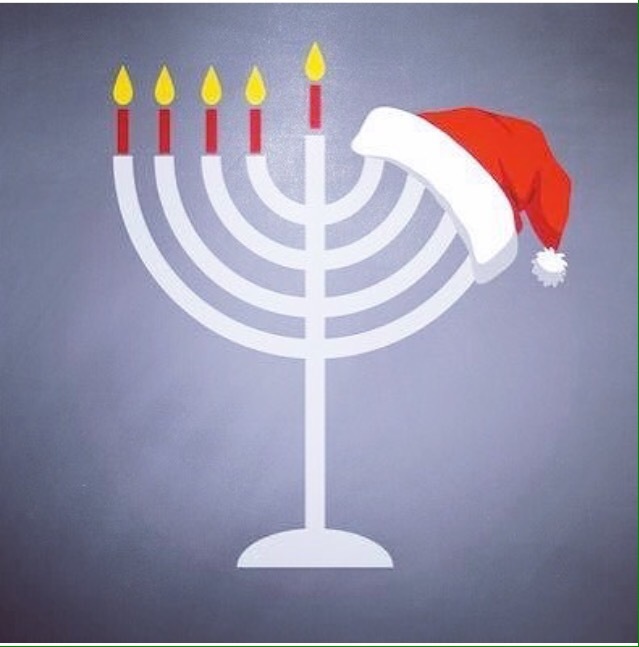 In December, every year, we celebrated both Chanukah and Christmas but with an emphasis on the cultural rather than religious traditions of each holiday. Instead of telling the story of the birth of Jesus or emphasizing how divine intervention helped the Jews triumph in the Hanukkah story, we focused on eating latkes and rolling out Christmas cookies. Decorating the Christmas tree and lighting the menorah. As a child, I loved both holidays and still do til this very day. But as I grew up, my Jewish faith began to speak to me with a stronger voice than my Catholic. When I was 7 years old, I asked my mom to enroll me in Hebrew school so that I could speak and write in Hebrew fluently since she already taught me how to speak in Russian. And when I was 13, Shabbat took on a whole other meaning and loved the connection to Shabbat every Friday at sunset. I have never denied that half of my ancestry is not Jewish, but when people ask me about faith, I say that I am Jewish. During December, decor and symbols that honor both sides of my ancestory had character. 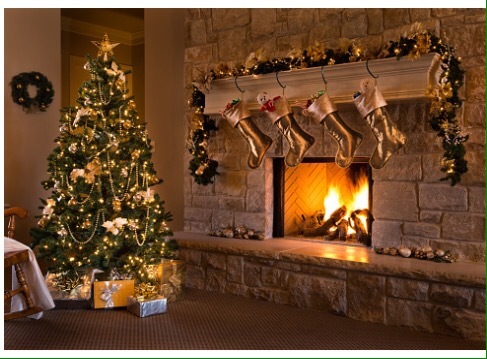 I loved to cozy up every shelf and corner with cinnamon-scented candles, colored lights, evergreen branches, holly, ivy, mistletoe, pine cones, Santa Claus, nativity scenes, and of course a Christmas tree. All kinds of Christmas music from popular and New Age to Renaissance and Celtic — play in the house during the holiday season. The everyday dishes that are stored away in favor of gold holly-trimmed plates and mugs. There was no mistaking what we were celebrating since our decorations in the house were extravagant! The Russian side of my family didn’t want Jewish heritage to disappear amidst all the entertainment of Christmas. I learned how to cook a batch of potato latkes served with applesauce and sour cream and noodle kugel every year. And had a menorah to light candles and sing Chanukah blessings just as they do in a fully Jewish home. I appreciated seeing the radiant menorah and the bright-light Christmas tree together in the same room in our house and enjoyed waking up on Christmas morning to stuffed stockings and gifts under the tree, a family breakfast, and another fun day of holiday entertaining with my family and extended family since we all lived close to each other here in New York. 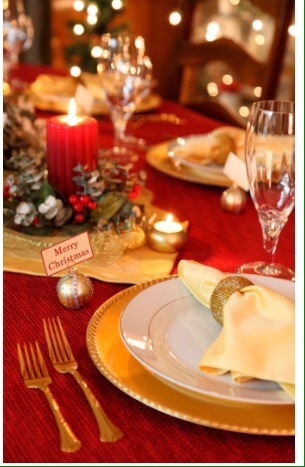 My mom was famous for her interior design talent and had an eye for decorating and designing and loved to entertain dinner parties at our house, so the tradition became that we would throw a Christmas party on Christmas Day which really turned into a five star, fine dining, five course gourmet sit down dinner experience that was unforgettable. It wasn’t a religious celebration, but one of family, love, music, light, warmth, and togetherness. And plenty of homemade food and presents! We’re lucky our blended family gets along and I’m grateful that we share these very different winter holidays together. By celebrating both holidays it created lively experiences and memories that opened my eyes to honor ancestry and to continue being as open to diversity as it’s always been. 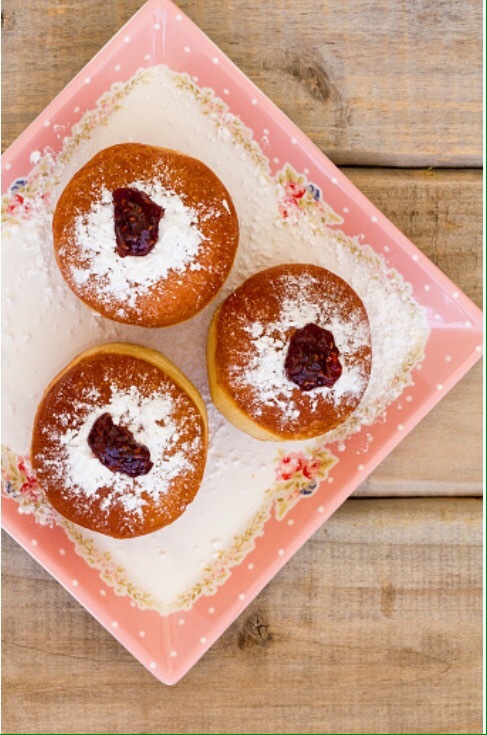 I know we will always have a menorah and Christmas tree in our home and look forward to making delicious fried latkes and eating sufganiyot every year. I happily remember these two holidays in our home and know we will celebrate Chrismukkah every year in our house.